Following a trail that was initially cut by the online apologetics and discernment ministry Lighthouse Trails Research years before Apprising Ministries has been covering the rise in popularity within Protestant evangelicalism of practicing corrupt Contemplative Spirituality/Mysticism (CSM) ala Living Spiritual Teacher and Quaker mystic Richard Foster, with an assist from his spiritual twin Dallas Willard. It’s a rapidly spreading—and very dangerous—fad; and if left unchecked by spiritually timid evangelical leaders, CSM is going to be the cause of much division within the church visible. My research shows that as far back as the early 80’s even conservative evangelical seminaries were using—in a positive way—Foster’s magnum opus Celebration of Discipline, which Dr. Gary Gilley rightly calls a virtual encyclopedia of theological error. However, Foster and Willard’s speculative so-called spiritual disciplines were really given a boost under the guise of spurious Spiritual Formation (SF) by the egregiously ecumenical Emerging Church aka Emergent Church—morphing into Emergence Christianity (EC)—which is a cult of postliberalism now firmly within mainstream evangelicalism. There’s no way to refute what DeWaay has just said because it’s simply beyond question that practices of CSM can be traced to heretical hermits in the desert of Egypt and this antibiblical ascetism of so-called disciplines flowered in the monastic traditions of apostate Roman Catholicism. CSM proponents likely bristle at my language; well good, maybe it’ll shake a few out of their comfortable contemplation, but even CSM advocates admit over and over in their many books etc. which I’ve read these past five years that their practice extends from “the desert fathers and mothers” circa third century. You should now be able to see that these hermits were already in opposition to what Jesus told His Christians we must be doing — “As the Father has sent Me, I am sending you” (John 20:21). So, if today’s perpetrators of this CSM/SF—a romanticized Romanism—within evangelicalism e.g. like the Elvis of the EC Rob Bell can make the case that Christ Jesus and His Apostles spent their lives living “as solitaries” in secluded caves somewhere out in a desert then we would have indeed rediscovered what some call “ancient/future” Christianity; but they can’t. Known as “an uncommon devotional,” this Bible devotional revolves around lectio divina, or “divine reading,” an ancient approach to exploring Scripture updated for today’s students. Or consider what I first showed you in Disciplines To Deception In Southern Baptist Convention concerning a ten page source paper called Spiritual Disciplines: Pathway to Christian Maturity (SDPCM) from the Georgia Baptist Convention (SBC), which we can also find e.g. under Discipleship Resources of the State Board of Missions of the Alabama Baptist Convention (SBC) right here. Keep in mind now, we’re not talking individual churches; no, this is at least two state conventions of the SBC—allegedly the largest Protestant denomination in the United States—recommending SDPCM. Measuring Jones’ work by the proper yardstick of the Bible shows he is far from anything close to insightful; in fact, for one studying for a doctorate at uber-liberal Princeton Theological Seminary, his thinking process reveals itself to be remarkably shallow. Jones is simply regurgitating old debunked arguments from what the actually insightful cult expert Dr. Walter Martin (1928-1989) labeled the original Cult of Liberal Theology. It comes as no surprise to those of us who’ve done our homework that CSM has contributed much to the current state of mortally wounded mainline Protestantism. You need to understand that CSM is indeed making huge inroads into the mainstream of the evangelical camp; as you can see evidenced in Rick Warren Now Openly Promoting Contemplative Spirituality/Mysticism. There you’ll see that Purpose Driven Pope Rick Warren is bringing in CSM guru Peter Scazzero to his upcoming Radicalis conference at his Saddleback Church in February. 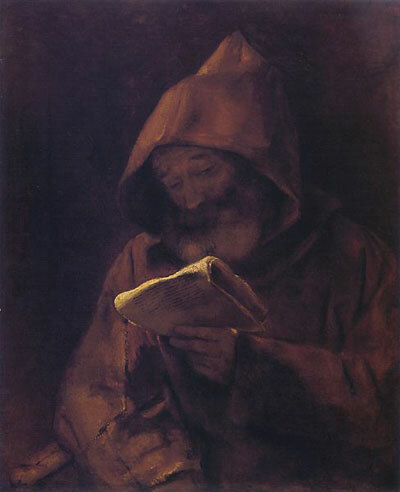 This despite that in the Contemplative Spirituality section of Scazzero’s website under Pete’s Reading Picks there are books by Thomas Merton, Richard Foster, the apostate Brennan Manning, and Roman Catholic monks “Brother” Lawrence and Henri Nouwen. Another time I’ll talk further about Lectio Divina, which certainly does involve Contemplative/Centering Prayer (CCP)—meditation in an altered state of consciousness—the main vehicle of CSM aka “silence.” Now I’ll point you to the sermon review below by Christian apologist Chris Rosebrough, host of the Fighting for the Faith program which can be heard on the Pirate Christian Radio network at 6PM Eastern time. The sermon is entitled “Give Peace A Chance: Lectio Divina by Charlie Broxton “Pastor to Genesis” Twin Lakes Church in Aptos, CA. Do yourself a favor; ditch the disciplines, and the Lord will be glad you did.